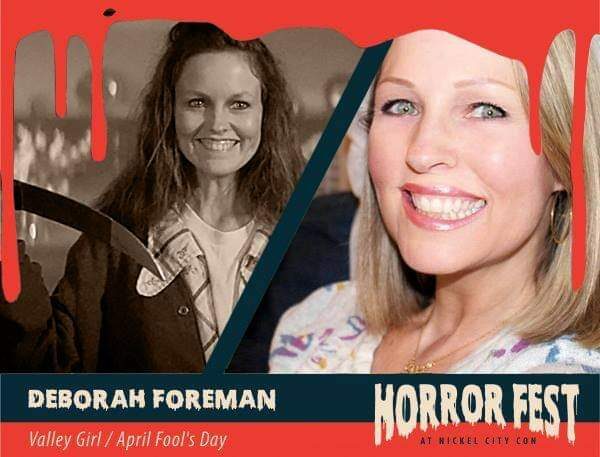 OMG we are like totally psyched to have original Valley Girl & Scream Queen Deborah Foreman will be at Nickel City Con & Horror Fest! Deborah is best known for her starring roles in the critically acclaimed Valley Girl, the award-winning My Chauffeur, & 1985’s Real Genius. Her horror credits include the lead (actually the two leads!) in April Fool’s Day, Waxwork & Destroyer. She is a hard-working actress, equally at home with comedy and drama, who has earned the respect of colleagues and press alike. She has also been a successful model for Maybelline.